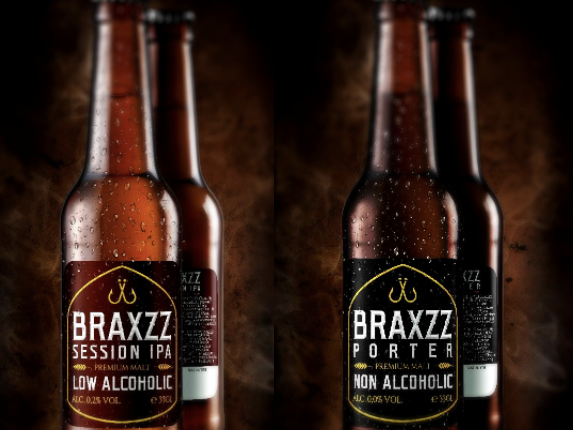 Dutch craft brewery Braxzz has released what it claims to be the world’s first non-alcoholic porter. Credit: Braxzz. Dutch craft brewery Braxzz has released what it claims to be the world’s first non-alcoholic porter. Braxzz Porter is dark in colour with aromatic notes of coffee and chocolate, as well as hints of dates, figs and caramel. It has a subtly bitter aftertaste. Braxzz was founded by a British and a Dutch team with the aim of creating alcohol free and low-alcohol beers that do not compromise on taste. Other products in the brewer’s portfolio include the 0.2% ABV Session IPA and the 0.2% ABV Amber Ale. Launched at the same time as the porter, Braxzz Session IPA is described by the beer company as light coloured and crisp with a non-bitter aftertaste. It has aromas and notes of citrus and exotic flowers. Mirko Schnitzler of Braxzz said: “Our journey started with two simple passions: The belief that the non-alcoholic beers on the market today are a huge compromise on taste and that the non-alcoholic category lacks variety for its consumers. A porter is a dark-coloured beer style that was developed in London in the 18th century from well-hopped beers made with brown malt and aged in barrels to deepen the taste.